Chocolate. Say it with me. CHOCOLATE. Who doesn’t love chocolate? 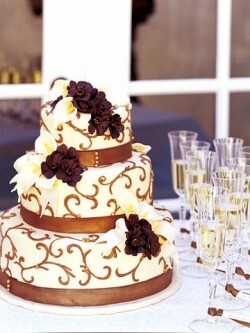 In the U.S., most wedding cakes, until recent years, were drab, white, and practically flavorless. Just sweet and more sweet. But more and more, we’re seeing different flavors, and different combinations. 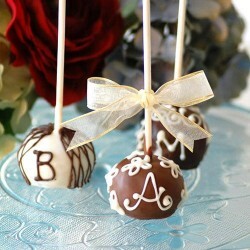 And not to be left out, chocolate is a flavor in the forefront. A couple may choose plain chocolate, but more often than not, we see variations on the theme – mocha, chocolate espresso, red velvet. But should a couple cling steadfast to tradition, they can always relegate the chocolate to the groom’s cake. 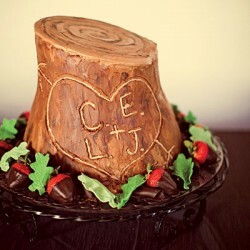 Often a foil to the white, statuesque, center-stage wedding cake, a groom’s cake is often whimsical, and frequently expresses some quirky aspect of the groom’s or couple’s personality. Sometimes the flavors vary, but quite often, the groom’s cake is – you guessed it – chocolate. Dark to the wedding cake’s light. Rich to the wedding cake’s austere. The perfect yin and yang, the perfect foil, the perfect complement. If your couple-heart lies in the direction of chocolate – go for it! It’s your wedding, after all. Did you know today is National Chocolate Day? As a lifelong fan of all things chocolate, I will admit that I am definitely a fan of the “including chocolate in your wedding cake” trend that I have been seeing lately. 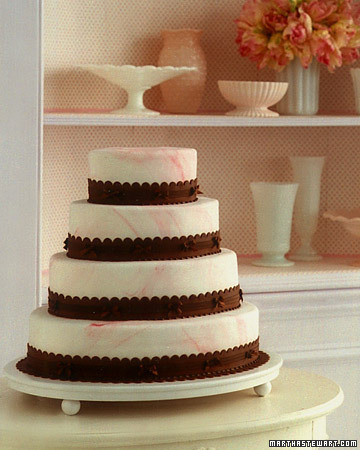 Sure, anyone can have a chocolate tier or two (or four) in their multi-tiered wedding cake, but I'm talking about having chocolate front and center on your wedding cake. 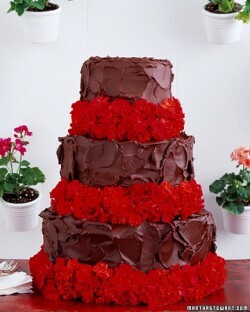 Take this cake for example. Do you ever get in one of those moods when all you can think is “Chocolate! I need chocolate!”? 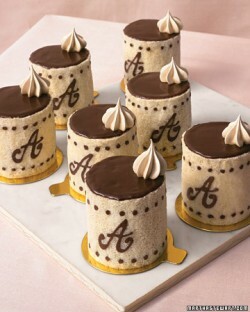 Well, that's the frame of mind I'm in today which is why I searched high and low for a decadent chocolate wedding cake to share with you. Will you look at this gorgeous cake? What I wouldn't give for a slice of that right about now. There must be something in the air this week as I’m still slightly obsessing over all things fall. 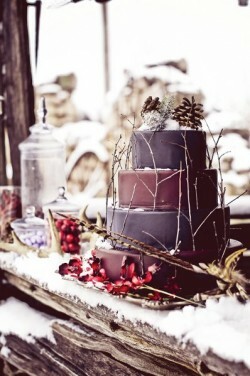 And while this cake would look great at any time of year – but would look amazing in the fall – I had to share it with you. Chocolate and coffee – is there anything better than these two flavors? I think not. Which is why I just had to feature this cake today – it's a marble chocolate and mocha cake with a marbleized fondant. 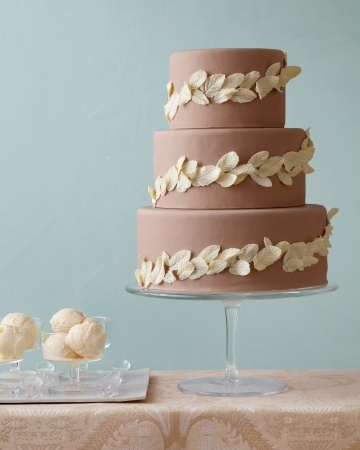 It's such a pretty – and unique – cake that I couldn't resist sharing it with you! I think one of the best things about being a guest at a wedding – other than witnessing the wedding and the cake – is that we get to take home a fun gift. I’m talking about the wedding favors and I’ll admit, I’m a sucker for a great wedding favor. At my wedding we gave guests little boxes of Jordan Almonds, which at the time seemed fun but in retrospect it’s sort of boring. I've been a little stuck on coffee and chocolate over the past week or so. My hubster made a truly fabulous mocha-kissed Buche de Noël for our gathering with Canadian friends the other night. The beautiful dessert – shaped like a Yule log, in case you aren't familiar – capped off a lovely evening of French-Canadian/British fusion celebration, and we had a grand time. I heart plaid. You know that, right? Last night, I posted one of my favorite holiday pics of the kids and me in our little tartan Christmas aprons — gifts from my mom last year. 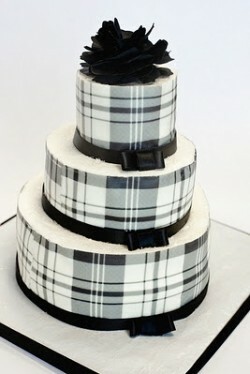 I just love it, and it inspired me to look for a plaid cake to share with you today. Today, I'm all about the coffee. I may have overslept a bit. The culprit? Cold medicine. Ugh. No hangover ever made me forget to put the milk back in the fridge. 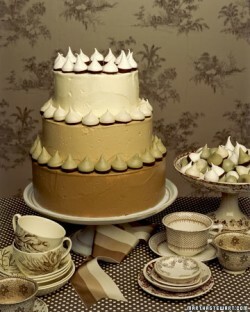 So coffee aplenty is in order this morning, and this cake is the perfect accompaniament. I thought I'd feature something a little different today. 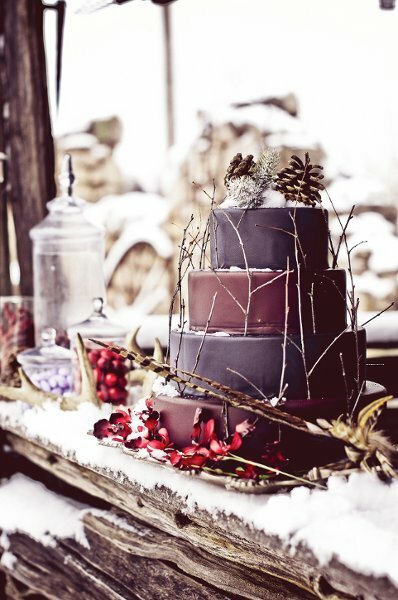 You should know that I love the idea of a winter wedding. Actually, I think that for me, I prefer fall and winter over spring and summer anyday for a wedding. I think I love the minimalistic design elements of these seasons, and the rich, warm colors. And there's something about finding the beauty in a sparse landscape that really appeals to me.